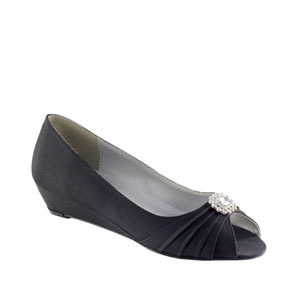 Anette is a low heel shoe that has an open toe with a pleated top adorned with a rhinestone ornament. 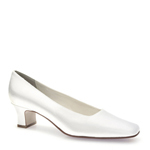 A low heel shoe such as Anette can be worn by the bride, her bridesmaids, and the mother's of the wedding. Anette is a fun wedge with a low heel that is confortable yet stylish. 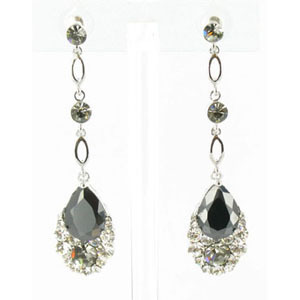 Adorned with a classic broach and available in wide widths this style is perfect for any event.